Kris caught a new friend in our bathroom this afternoon. 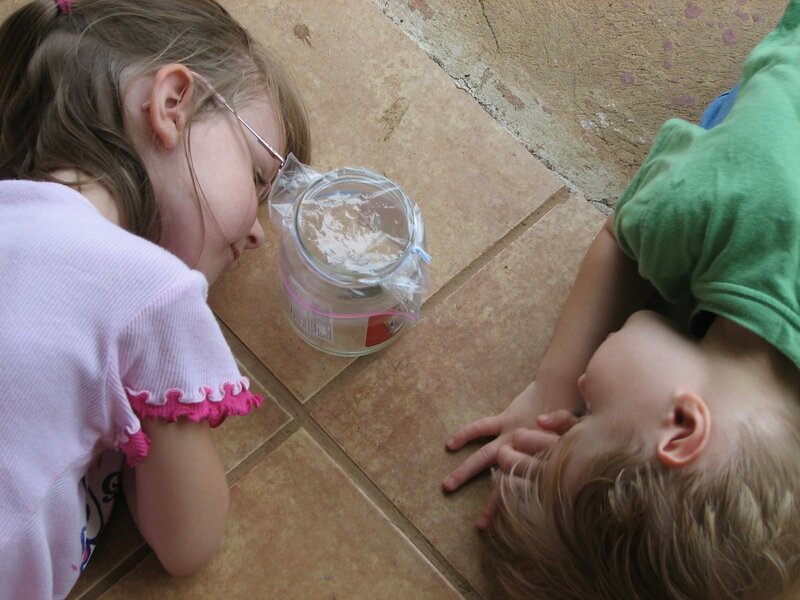 We kept it in a jar until Elijah could wake up from his nap and see it. We explained to the kids that he was only a temporary pet so we have already released him to do bug patrol outside our cabin. We have another smaller gecko in our cabin as well. 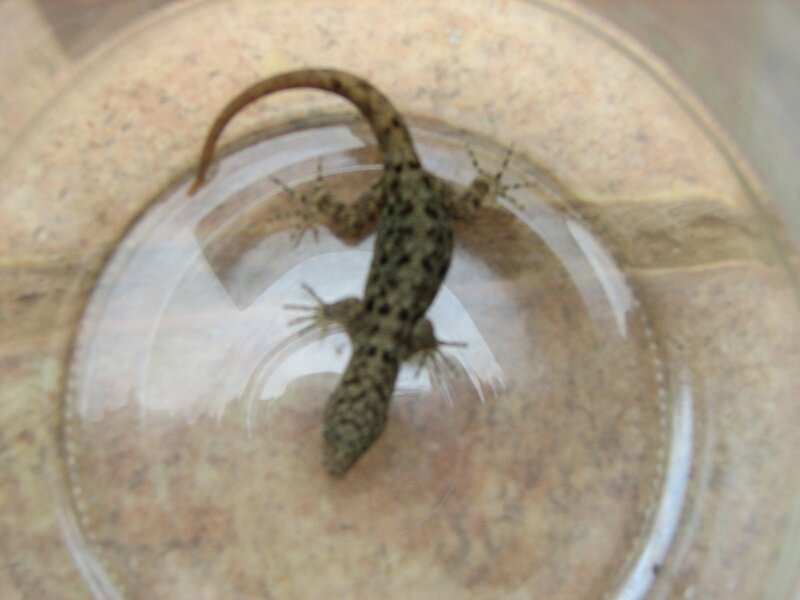 He is only about 2″ long, tail and all. The kids love trying to spot him on the window or couch at the front of the cabin. Eliana has named him Dinoco (think The Cars movie). He is very fast and we have not caught him, but we haven’t really tried too hard since we figure he eats the bugs. 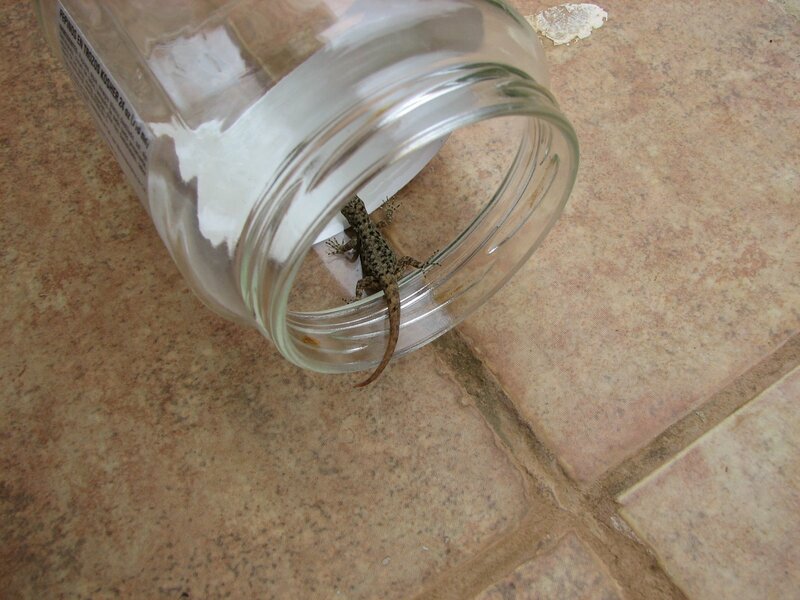 This entry was posted in Costa Rica, Matt's Thoughts and tagged gecko, lizard. Bookmark the permalink. ← How big is our cabin? How exciting! You are doing a wonderful job updating your blog. I feel like I am right there with you. Your Spanish will drastically improve and the children will start picking it up faster than you can imagine. Thanks for being a part of my life! Love, Jennifer H.